Emma joined Chambers as a tenant in July 2017 following successful completion of pupillage. She is now developing a broad practice spanning all areas of Chambers’ work including public law, EU / competition law and commercial law. Walter Hugh Merricks CBE v MasterCard Inc & Ors (one of the first applications for a collective proceedings order in the CAT under the new opt-out class action regime). Peugeot SA & Ors v NSK Ltd & Ors (a follow-on competition damages action in the CAT relating to the Commission’s 2014 bearings decision). Heathrow Hub Ltd v Secretary of State for Transport (an ongoing judicial review of the Government’s decision to endorse airport capacity expansion in the South East of England by way of a third runway at Heathrow Airport on grounds of incompatibility with EU law). Advising Liberty in relation to the legality of information sharing practices between various government departments in connection with its “Care Don’t Share” report. Defending an Equality Act challenge brought against a financial institution that was seeking to close a customer’s accounts. NRAM plc v Eversheds LLP (a very substantial professional negligence claim relating to consumer credit advice. One of the Lawyer’s Top 20 cases of 2018). Before coming to the Bar, Emma qualified as a solicitor at Freshfields Bruckhaus Deringer LLP (2011-2013) and practised as an associate in the firm’s dispute resolution department in London (2013-2016), specialising in EU and competition litigation and public law. During her time at Freshfields, Emma acted for and advised major corporate clients from a range of industries, including the financial, energy and telecommunications sectors, on both contentious and regulatory matters. She developed a commercial and client-focussed approach and was commended for her ability to perform under pressure. 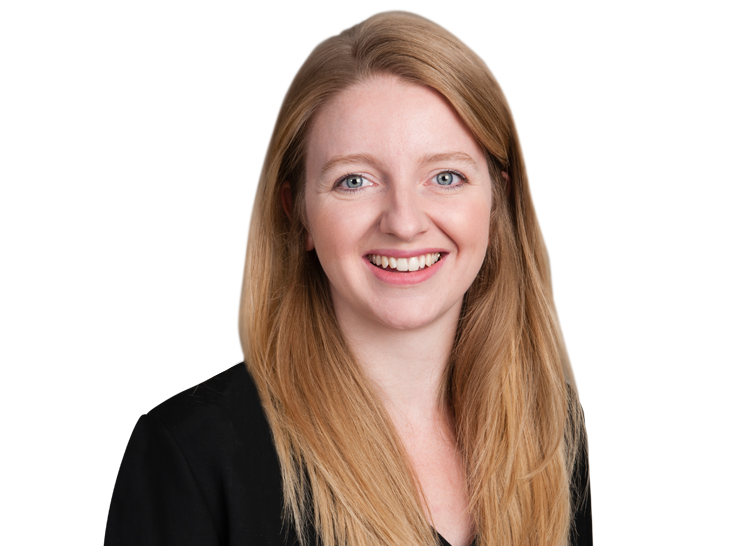 Emma also acted pro bono for clients in various fora (including the Asylum Support Appeals Tribunal) and spent time on secondment to the firm’s Brussels office. Emma graduated from the University of Oxford in 2010, winning the All Souls Prize for the Best Performance in Public International Law Final Honour Schools. She has a Master’s degree from King’s College London in EU competition law. Emma is also a trustee of the AIRE Centre, a specialist charity whose mission is to promote awareness of European rights and assist individuals in vindicating those rights. Emma obtained extensive EU and competition law experience in her previous role as a solicitor at Freshfields Bruckhaus Deringer LLP. As a trainee solicitor, Emma spent time on secondment to the firm’s Brussels office, where she worked predominantly on competition law matters. When she qualified as an associate in 2013, Emma chose to specialise in EU and competition litigation. Between 2013 and 2016, she advised on numerous aspects of EU law (including EU sanctions law, tariffs and the CAP) as well as working on both regulatory and contentious competition law matters. Highlights included acting for Ericsson in the Unwired Planet Inc v Huawei & Ors proceedings (a ground-breaking FRAND and competition law dispute in the patent infringement context) and acting for one of the non-addressee airlines in the Air Cargo Pergan appeals (Emerald Supplies Ltd & Ors v British Airways plc & Ors  EWCA Civ 1024). Walter Hugh Merricks CBE v MasterCard Inc & Ors: one of the first applications for a collective proceedings order in the CAT under the new opt-out class action regime. Emma is acting for Mr Merricks in his appeal against the CAT’s 2017 judgment ( CAT 16) (led by Marie Demetriou QC and Victoria Wakefield). Emma also assisted Marie and Victoria in the CAT proceedings as a pupil. Peugeot SA & Ors v NSK Ltd & Ors: a follow-on competition damages action in the CAT relating to the Commission’s 2014 bearings decision. Emma was instructed by one of the Defendants (led by Tony Singla). Heathrow Hub Ltd v Secretary of State for Transport: a judicial review of the Government’s decision to endorse airport capacity expansion by way of a third runway at Heathrow Airport on the grounds of incompatibility with EU law (led by Robert O’Donoghue QC). A confidential arbitration in relation to the lawfulness of an exclusive distribution arrangement (led by Sarah Abram). A confidential State aid matter which raises issues relating to the interaction between EU State aid law and bilateral investment treaty arbitration (led by Kelyn Bacon QC). Advising on Provimi, choice of Defendant-type issues. Flynn Pharma Ltd & Ors v Competition and Markets Authority: a CAT appeal against a decision of the CMA that Flynn Pharma abused a dominant position by engaging in allegedly excessive pricing of an epilepsy drug sold to the NHS (assisting Kelyn Bacon QC and Tom Pascoe as a pupil). W Reeves v HMRC  UKFTT 192: an appeal in the First Tier Tax Tribunal raising issues as to the compatibility of section 167 of the Taxation of Chargeable Gains Act 1992 with EU law and in particular the free movement of capital (assisting Sarah Abram as a pupil). ATF Overseas Holdings Ltd v Jersey Competition Regulatory Authority: an appeal in the Royal Court of the Island of Jersey against an abuse of dominance infringement decision made by the JCRA (assisting Kelyn Bacon QC as a pupil). A confidential competition and sports law arbitration relating to the lawfulness as a matter of competition law of financial fair play rules in football (assisting Victoria Wakefield as a pupil). Emma has a Master’s degree in EU competition law from King’s College London, which she obtained whilst also working full time at Freshfields. Emma’s public law practice encompasses the full ambit of public law: from commercial judicial reviews to human rights based challenges. She is a trustee of the AIRE Centre, a specialist charity whose mission is to promote awareness of EU and ECHR rights and assist marginalised individuals and those in vulnerable circumstances to assert those rights. Advising Liberty in connection with its “Care Don’t Share” campaign on the lawfulness of various information sharing practices operated by different government departments as part of the hostile environment strategy (unled). Defending an Equality Act 2010 challenge brought against a financial institution that was seeking to close a customer’s accounts (led by Martin Chamberlain QC and Malcolm Birdling). Heathrow Hub Ltd v Secretary of State for Transport: a judicial review of the Government’s decision to endorse airport capacity expansion by way of a third runway at Heathrow Airport on the grounds incompatibility with EU law (led by Robert O’Donoghue QC). Acting pro bono for a prisoner at HMP Bure who was seeking to challenge alleged interference by the prison authorities with his mail (unled). Acting pro bono for various social housing tenants in relation to disrepair and reasonable adjustment claims against their landlords (unled). R (UNISON) v Lord Chancellor  UKSC 51: a challenge to the introduction of fees in the employment tribunal and employment appeal tribunal on access to justice grounds, heard by the Supreme Court in March 2017 (assisting David Barr QC and Victoria Wakefield as a pupil). R (Minchinhampton Committee of Commoners & Ors) v DEFRA: a judicial review brought by a group of farmers in relation to DEFRA’s administration of CAP payments (assisting Victoria Wakefield as a pupil). Teva BV v MHRA: judicial review of the refusal of the MHRA to validate Teva’s application for a marketing authorisation in respect of a drug indicated for the treatment of multiple sclerosis (assisting Kelyn Bacon QC and Emily MacKenzie as a pupil). A successful technology appraisal appeal on behalf of Roche before the National Institute for Health and Care Excellence (‘NICE’) (assisting Victoria Wakefield as a pupil). Advising a local authority in relation to a potential judicial review claim concerning the overnight detention of children in police custody (assisting Victoria Wakefield as a pupil). During her time as a solicitor at Freshfields, Emma also worked on a commercial judicial review action in the oil and gas sector and undertook public law work on a pro bono basis. For example, Emma worked pro bono to launch a judicial review action seeking to challenge secondary domestic legislation in the education field on the grounds of incompatibility with EU law; advised a prominent charity on an application to intervene before the Court of Appeal in support of a challenge to governmental changes to legal aid; and appeared as a volunteer advocate on behalf of the Asylum Support Appeals Project in the Asylum Support Tribunal. Acting for NRAM plc (formerly Northern Rock plc) in a £100 million professional negligence claim against Eversheds LLP (led by Tom Adam QC and Tony Singla). The case was chosen by the Lawyer as one of its Top 20 cases of 2018. Acting for the Serious Fraud Office in connection with the Tesco Profit Overstatement group litigation in the Financial List (led by Victoria Wakefield). Acting unled for Imperial College Healthcare NHS Trust in a successful over-payment of salary claim. Advising on a potential professional negligence claim in the tax sphere (led by Tom Adam QC). Arcadia Petroleum Limited & Ors v Bosworth and another (hearing April 2017): an appeal to the Supreme Court in respect of a Lugano Convention jurisdiction challenge in the context of a c. US$300 million fraud claim (assisting Laurence Rabinowitz QC and Fionn Pilbrow as a pupil). A confidential arbitration worth c. US$200 million relating to the enforceability of a prior settlement agreement, including as a matter of private international law (assisting Tom Adam QC, Fionn Pilbrow and Max Schaefer as a pupil). Bayerische Landesbank v Constantin Medien AG  EWHC 131: a substantial Commercial Court dispute relating to the sale of the Formula 1 group of companies to CVC (assisting Helen Davies QC, Fionn Pilbrow and Edward Harrison as a pupil). OMV Petrom v Glencore International  EWCA Civ 195: an appeal to the Court of Appeal in relation to the interest that a court may award when a claimant beats its own Part 36 offer at trial (assisting Richard Southern QC and Fionn Pilbrow as a pupil). Dukkar SA v Motor Oil (Hellas) Corinth Refineries: a commercial court claim for breach of a storage agreement said to have resulted from the co-mingling of different oil products (assisting Fionn Pibrow as a pupil). Gard Shipping AS v Clearlake Shipping Pte Ltd  EWHC 1091: a commercial court claim for escalated demurrage alleged to be payable under a charterparty agreement (assisting Fionn Pilbrow as a pupil). Emma also has substantial commercial law experience as a result of her experience as a solicitor at Freshfields. During her training contract at Freshfields, Emma spent time in both the firm’s commercial litigation and international arbitration teams (as well as assisting on corporate and financial transactional work). After she qualified, she worked on a high-value international commercial arbitration before the LCIA, concerned with the contractual obligations of parents to a joint venture. Gold at the end of the rainbow? The quantification provisions of the new EU Damages Directive, Competition Law Insight, Volume 13, Issue 6 (10 June 2014) (with Lawrence, Hollway and Howe). Natural Justice in the CAT – Lessons for the Competition and Markets Authority and Private Parties,  8 GCLR 25 (with Das). Questions Left Unanswered by the Great Repeal Bill, ALBA summer conference paper, July 2017 (with Bacon) (available online at https://adminlaw.org.uk/publications/lecture-papers/). Competition Act Appeals—practice and procedure in the Competition Appeal Tribunal, LexisNexis practice note, July 2018. Winner of the KCL Essex Court Chambers Mooting Competition (2015) (a four-stage commercial law competition, the final of which took place in the Supreme Court in March 2015 and was judged by Lord Judge). Winner of the KCL Graveson Moot (2015) (a three-stage annual competition, covering contract, tort and public law. The final took place in the Royal Courts of Justice before a bench of three, including the Hon Sir David Foskett).